Oct. 12, 2016 1:00 p.m.
With the days getting shorter, school zones populated with young pedestrians, and soon enough, wee princesses and pirates hitting the streets for candy, autumn is a good time to reflect on community safety. To keep children and families safe in their communities, BCAA is recommending the following safety initiatives. Kids are back in school and school zones are once again bustling with students and parents in a hurry to get to class and work. Whether your child or teenager is walking to school, the park or a friend’s house, pedestrian safety should always be a priority. Drivers should pay close attention in school zones and drive within the posted school zone speed limit. For parents worried about vehicles speeding through their neighborhoods, BCAA provides complimentary ‘Slow Down, Kids Playing’ signs for members at any BCAA service location (signs unavailable in Prince George). These lawn signs serve as a visual reminder for drivers to slow down in residential areas and be mindful of children playing outside. 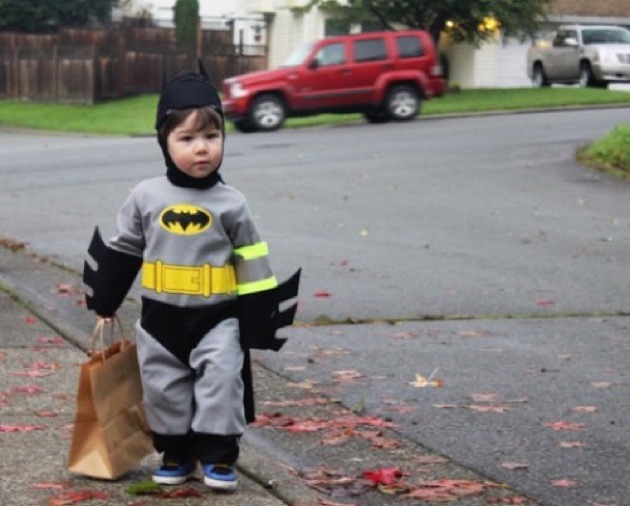 Trick-or-treating with your kids this Halloween? Preparing costumes may be number one on your list, but it’s also important to prepare your kids for a safe night out so that Halloween is a safe and happy experience for the whole family. Make sure your child can be seen by picking brightly coloured costumes that are clearly visible to motorists. You can also pick up a complimentary reflective armband for your child for increased visibility at any BCAA service location, as well as BCAA Auto Service Centres. No matter the season, making sure your kids have the right car seat and that they are properly strapped in is very important. Forward-facing? Rear-facing? What are the weight limits? It can all get very confusing. Child car seats save lives and work best when they are used correctly. For more information on the proper usage of child car seats, visit bcaa.com/road-safety or call our child passenger safety line at 1-877-247-5551. There’s really no better time than the present to stay aware of these safety initiatives for your family. With a BCAA membership, you get free roadside assistance for your kids (15 and under) in anyone’s car with the Kids Go Free program. Learn more at bcaa.com.